This year, the National Football League and the American Cancer Society (ACS) are expanding their efforts to support the fight against cancer through the “Crucial Catch: Intercept Cancer” campaign. After nearly a decade of supporting breast cancer, the NFL and ACS have broadened the campaign to include early detection and risk reduction efforts for other cancers to increase the impact of the campaign. Since 2009, the NFL has raised more than $18 million for ACS through the partnership. Money raised through Crucial Catch this season will be directed toward efforts to encourage people to get screening tests for three cancers: breast, colorectal and cervical. Funding will continue to support the American Cancer Society’s Community Health Advocates implementing Nationwide Grants for Empowerment and Equity (CHANGE) program, which provides outreach and cancer screenings to individuals in underserved communities. Since 2012, grant recipients have contributed to nearly 150,000 screenings and 450,000 education and outreach interventions. 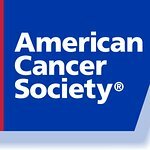 “As one our most powerful partners in the fight against cancer over the last decade, the NFL is working together with the American Cancer Society to truly attack cancer from all angles. With the league’s expanded focus on multiple cancers, we are poised for even greater relevance, and fans around the country can benefit from our critical work in saving lives from cancer,” said Sharon Byers, chief development and marketing officer for the American Cancer Society. Although genetics influence cancer risk, there are things you can do to tip the scales in your favor. Avoiding tobacco products, staying at a healthy weight, exercising regularly, and eating a healthy diet may reduce a person’s lifetime risk of developing or dying from cancer.